By Laura. Posted August 15, 2011 at 6:48 pm. I totally have a disorder. A collector’s disorder. If I have all but a few of something, I feel the need to get those last few just to have a complete set. Even if I don’t particularly want those few, I’ll get them anyway if the opportunity presents itself. And the opportunity to get the last two permanent Tarte cheek stains I didn’t have presented itself recently during the Tarte 30% off sale. I recently swatted the other eight I own (seven permanent ones and the True Blood LE one) here. I’ll add these to that post when I get a chance. 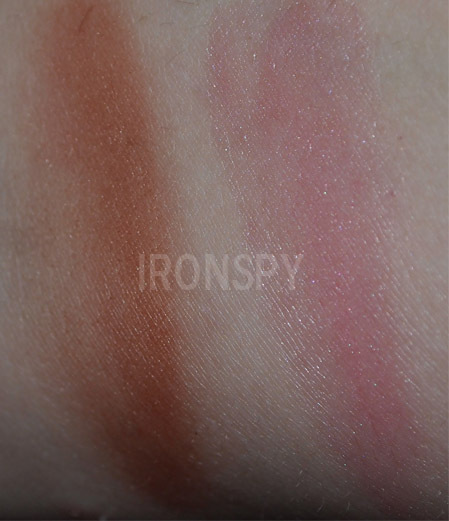 The two I didn’t have were Dollface, a very very sheer light neutral baby pink with soft shimmer, and Sunkissed, a red toned bronze. 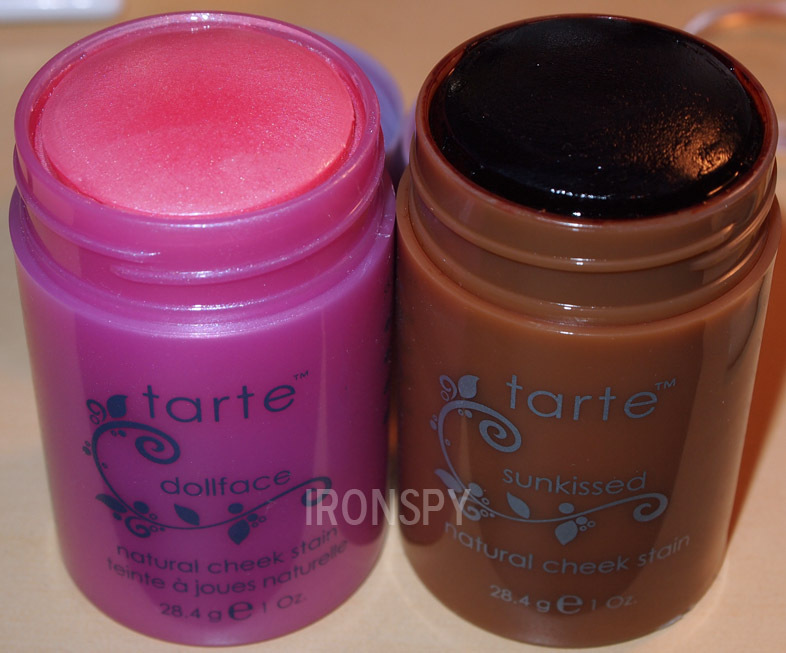 I have to say, these two are definitely the weak links in the Tarte stain line up. Dollface isn’t bad, it’s just extremely light. 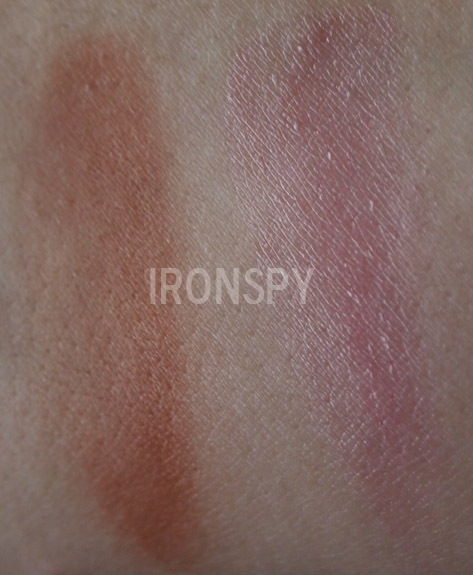 I’d say if you’re NC25 or over to just pass this one up entirely, unless you really want to use it as a base for a powder blush. I’m NC15/20 and though it does show up, I’m definitely on the upper end of tones able to wear it as is. 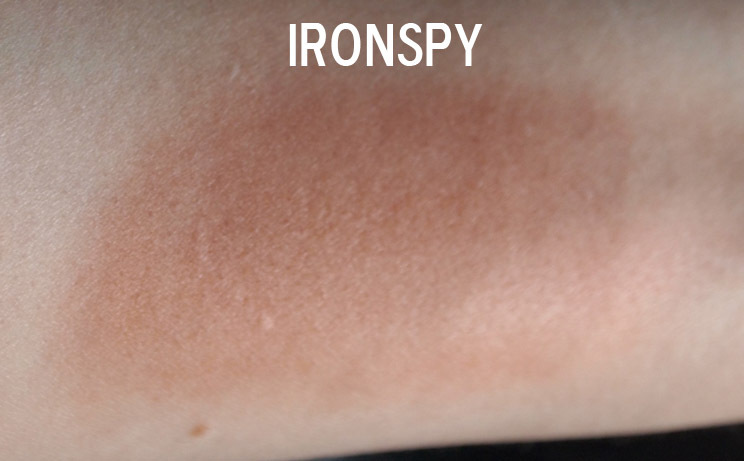 The formula is the same as Tipsy, with some shimmer that isn’t really noticeable on the face. Sunkissed is an entirely different story. There’s something really weird with the formula, even though I can’t find a real difference in the ingredients list. Sunkissed is like a liquid in a barely solid form. If you push the product up and back down again, it juices over the sides. And when you press it down your finger will leave a big indent in the top. 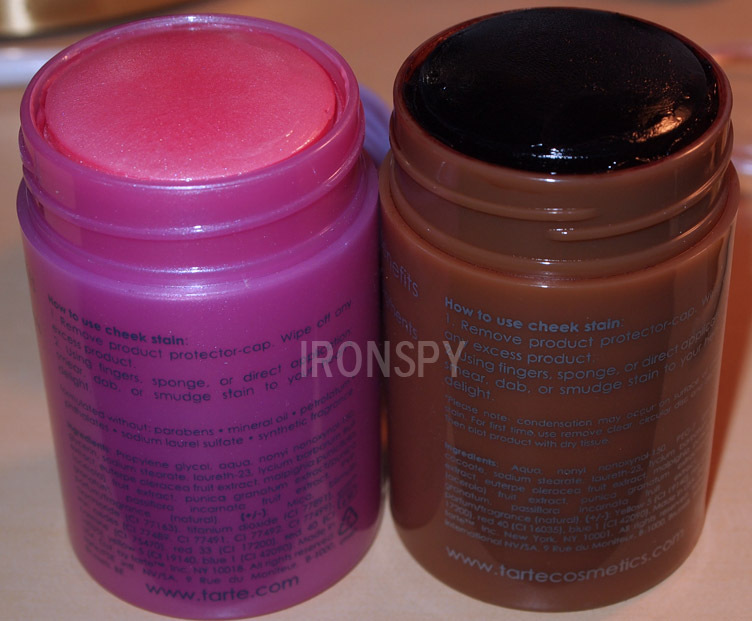 Anyone familiar with other Tarte stains will know that they do have moisture to them, but they are still very solid. Sunkissed is like actual jello. I put it in the fridge to try to solidify it, and I put it open in front of a fan for a few hours to try to dry it out, but nothing made much of a difference. 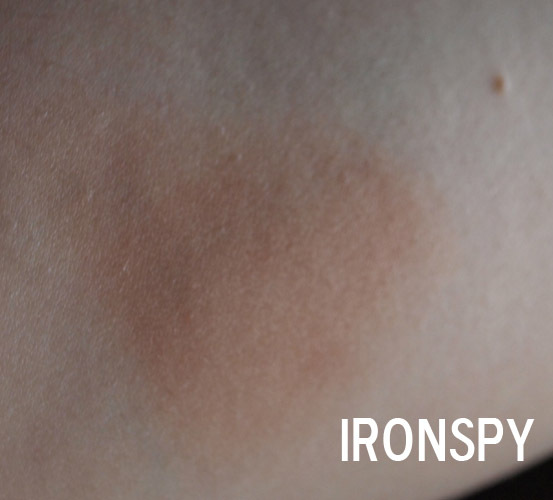 The color is nice though, a reddish bronze that is easily buildable for intensity. It also seems to share the same wear time as the others. I’m not going to return it, since I did get it on sale and I do like the color, but I can’t say I recommend purchasing it. I also know it didn’t just melt in transit or anything, since it hasn’t been hot out this week and because Dollface arrived perfectly fine. I always wondered why this was the only one I could never find in stores anywhere, and now I know why. It would completely melt under store lights. I think it might be an old formula or something, since I noticed on the back it says “tartecosmetics.com” and not “tarte.com” like my other stains. I think it is obvious why these were my last two cheek stain purchases, but I’m still glad I have them. Both are definitely wearable for me, though they are obviously not my favorites. I generally love Tarte stains and I can’t wait to see what new ones come out in the future! Hello! Please let me know if you ever decide to sell your Tarte Sunkissed Natural Cheek Stain as I have tried to find it all over the world (I live in London). I bought it in LA back in 2009 and now (after using it almost every day) I’ve had to give up trying to scrape the last bits of it out. Help!